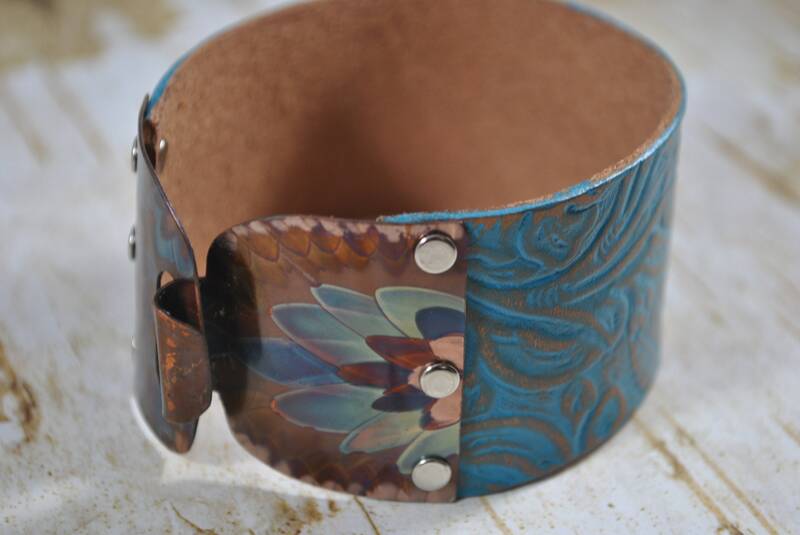 This gorgeous copper and leather bracelet has a flame painted clasp. No other chemicals or paints have been used. 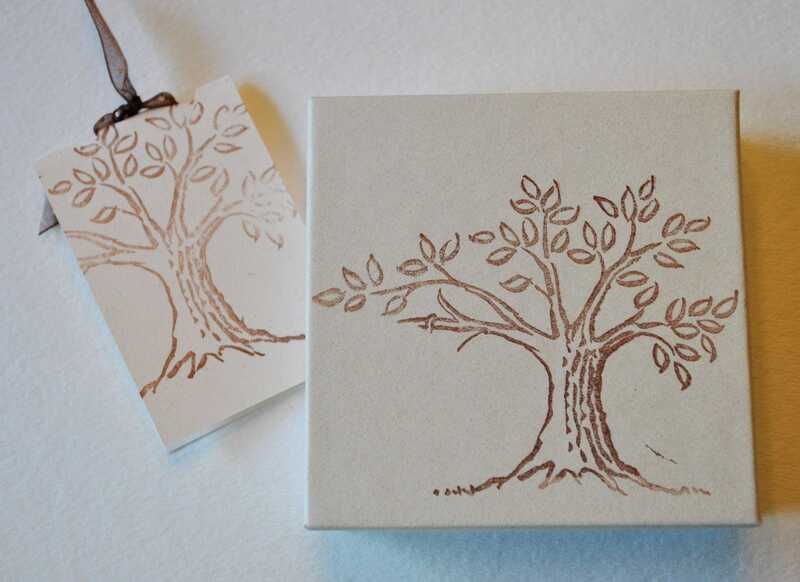 Each piece is completely unique and OOAK. 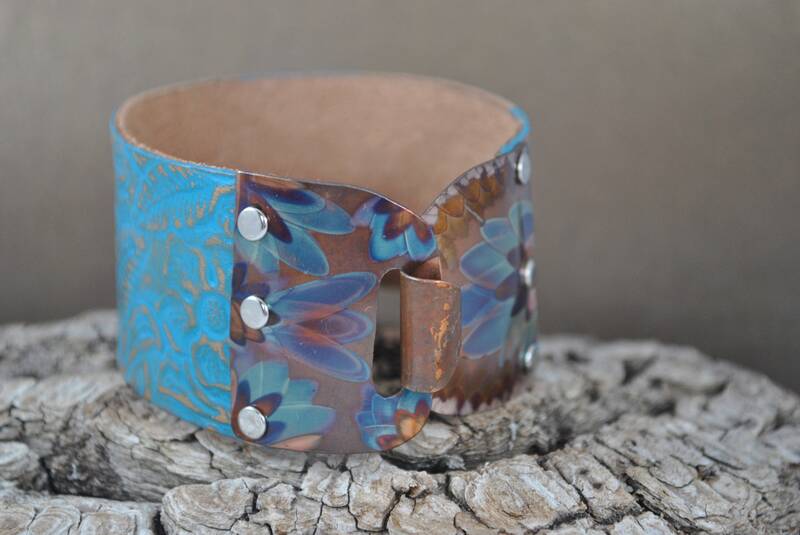 Copper will turn different colors when exposed to heat and it is the artist's fun to control the torch and select the individual patterns. 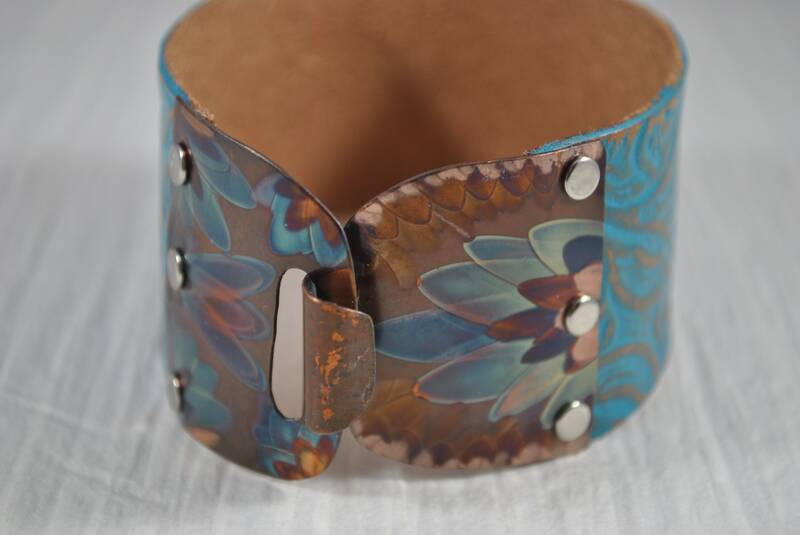 The leather is embossed with a floral print and has been stained a lovely teal color. 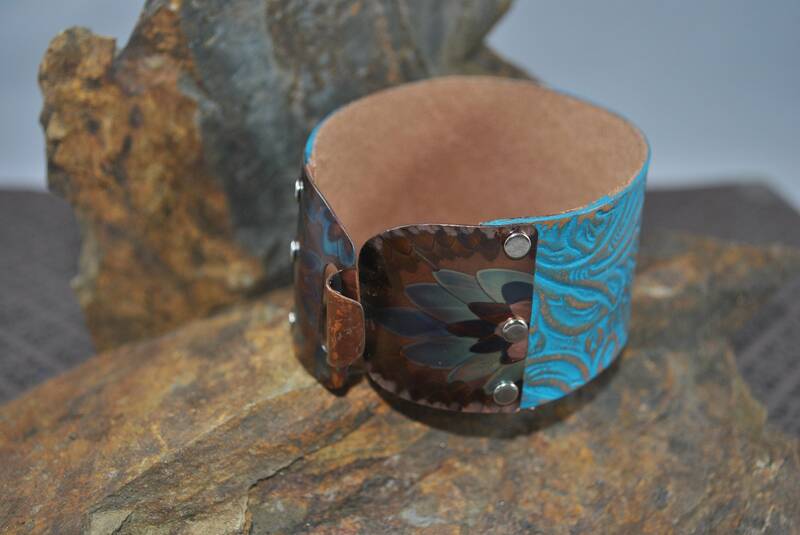 INSIDE FIT: Will fit a wrist size up to 7 1/2" (16.5 cm) It is a large. 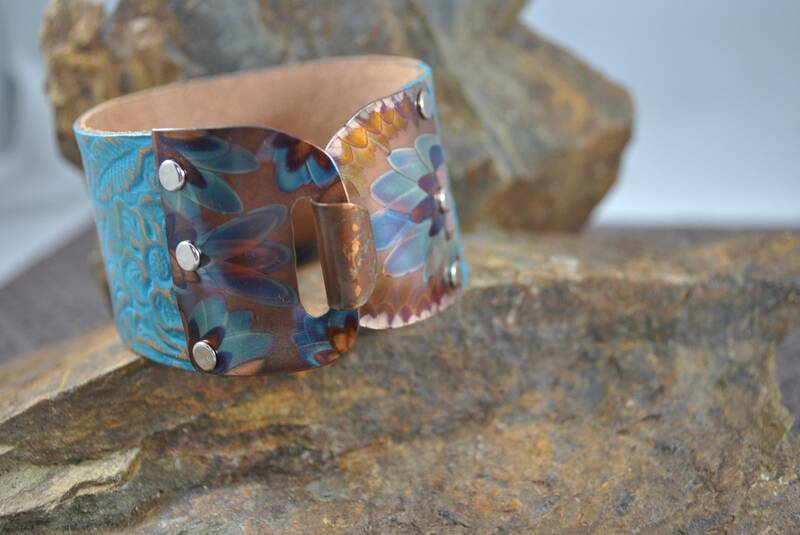 The width of the bracelet is 1 1/2".